I was wondering how much the Micro Mini Kickboard has developed in terms of features and benefits. 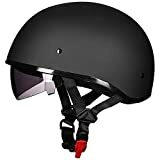 When they introduced the Micro Mini Deluxe Kick Scooter I double checked all the Micro Mini Deluxe Scooter Reviews. And found that this one is far developed than its predecessor by all considerations. Backed by all these, this kid toy one will cope up with your child’s growth. The deck is also changed a bit here. This one is duel injection deck equipped with micro silicon. 3 wheels for balancing well and extra space are available only on the longer deck. Non-marking wheels allow quiet and smooth ride. This scooter is designed specifically for kids of 2 to 5 years. 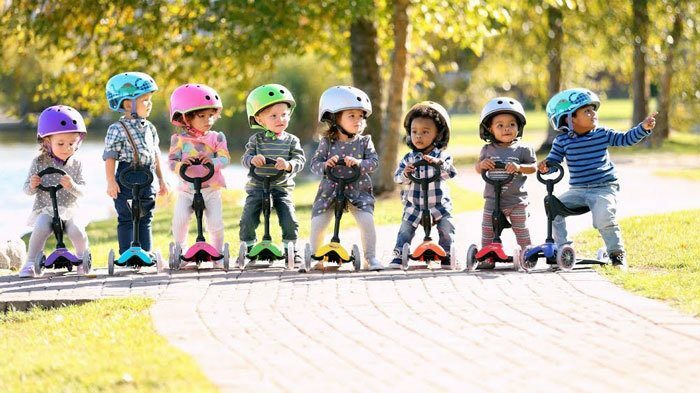 The micro mini deluxe scooter comes in 8 different colors. New anodized T-bar has a stylish sleek look. Overall this lightweight scooter is a perfect gift for your young kid. Product dimension is 23.4 inches X 5.7 inches X 10 inches. The weight of this product is 5.5 pounds. Adjustable T-Bar. The bar is adjustable up to 17 inches to 25 inches above the deck. Highest rated in Amazon in its category. Well-balanced with 3 wheels construction. Sturdily built scooter constructed by micro silicon. Extra accommodation on the deck. The Micro Mini Deluxe Kick Scooter comes with an adaptable T-Bar. This bar has developed to help your growing child. The kick scooter is specifically designed for kids. The age limit for this product is 2 to 5 years but at this age children grows fast. So it is possible that within a year your child outgrows the scooter. From this perspective, the Micro Mini Deluxe Kick Scooter will be your solution. The bar being an adjustable one, it won’t be short after one or two years. Because this one is changeable from 17 inches up to 25 inches above the deck which is perfect for this age limit kids. The award-winning Deluxe kick scooter is an extraordinary inclusion from the Micro Kickboard. It is the upgraded version of Micro Mini Scooter. Like other Micro products, this one is also highly rated and best reviewed on the market. This Swiss-designed 3 wheeled scooter presents an easy and smooth ride. The gliding is always smoother as the manufacturer promised. The lightweight scooter is pretty comfortable for younger kids and allows your kid to handle it comfortably. If you dig the online market you will find great reviews and rates. People are really in love with this Micro Mini Deluxe Scooter. The features and construction make it lucrative and stable. The modifiable T-Bar adds extra advantage as well as the anodized bar ensure extra durability. It also comes in 8 different colors that are sheer a remarkably eye-feast for the children. The dual-injection deck is constructed by micro silicon. This feature prevents corrosion and increases the durability. The steering mechanism is very supportive of kids. They can handle it by shifting their body weight. Unlike other scooters, The Micro Mini Deluxe Scooter comes with three wheels. Two wheelers might be risky for the kids. Three wheels make it well-balanced and more stable. If your concern is control, the steering of this scooter is pretty easy. Your kid just needs to curve and shifts the body weight to turn his scooter. Even the deck is low enough to the ground that helps to keep the balance in a sudden situation. From this ground-low deck, your kid can speed up or brake just kicking the ground. Other than that, this scooter is equipped with a brake system. Contrary to it, the manufacturers think that brake is not required in this product. The Micro Mini Deluxe Kick Scooter is a perfect choice for your kid. But you need to know how they build this product. This scooter is well built for constant performance and durability. It is CPSC certified for safety. So you will be satisfied with its riding composition and coordination. The adjustable bar has a clamp on it. After adjusting the bar you just need to tighten the clamp. It is anodized with micro silicon which increases the durability. The deck is also well built. The 2 feet deck provides extra space for your kid to accommodate his feet relax. The deck is also low to the ground for which the kid requires a little knee scrapping. Because of its design handling is just as easy as pie. Adjustable T-Bar allows matching the kid’s height. Even within one or two years, it won’t be matter as you can adjust with your kid’s growth. New anodized T-Bar comes with 8 different color option which will impress your kid. The duel injection deck is non-slip and anti-skid. Some people complain about the attention of the manufacturer. Sometimes they delivered the defective product without any inspection. Customers and I are totally impressed with the features of this Micro Mini Scooter. The extra features of adjustable T-Bar and the anodized finish with different colors makes it more attractive. You can collect it for your kid without any doubt. A micro Mini deluxe kick scooter is the transportation toy parents should go after as it can win over the online gaming in the computer screen.